Install in your office or run from anywhere using our secure Cloud option. Quickly access all your company's project information and documents – anywhere, anytime with JOBPOWER Cloud. 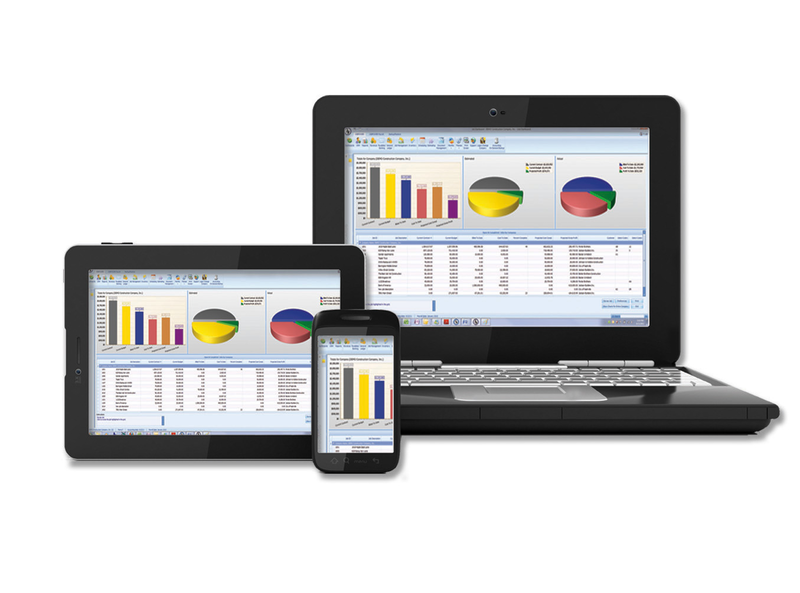 JOBPOWER Construction Accounting and Job Management Software can be purchased and installed in your office on a single computer, a server or on a peer-to-peer network. If you prefer access from anywhere, anytime, ask about our Cloud option. In either case, only authorized users will have access. With the Cloud option, you can access using any computer, a laptop, Mac, iPad, iPhone, Droid, or any other device that has internet access. JOBPOWER Cloud is great for people 'on the go', who need real-time access to their key job and company data. With so many people using smart phones and tablets, moving to a cloud-based solution for job information and project management makes perfect sense. With JOBPOWER Cloud, you'll realize immediate savings by eliminating the cost of maintaining a server, purchasing software, and paying for IT personnel. The Cloud version includes everything for one monthly fee, including hosting, storage, support, users and maintenance. Microsoft® Office 2010 is also available in JOBPOWER Cloud, allowing field personnel to edit and create documents from the job site on any mobile device. Company data stored in JOBPOWER Cloud is safe, secure and easily accessible. The data center has full redundancy on everything – servers, data storage, internet connections and backup generators. Only authorized individuals have access via secure logins. With JOBPOWER Cloud, up-to-date job and financial data is always available for better decisions. Easily access documents like subcontracts, invoices, lien waivers, change orders, emails and any other file or document you have saved by job, vendor or customer. With lower up-front costs and the ability to access your job cost information from any device, anywhere, anytime, JOBPOWER Cloud is the right tool to help you reduce expenses, increase profits and gain control over your business.